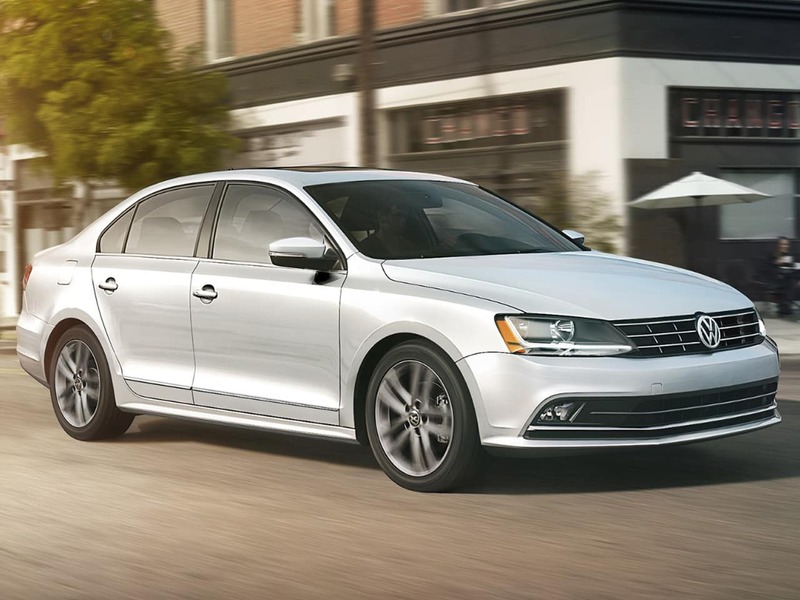 The 2018 Volkswagen Jetta is a compact sedan with elegance. 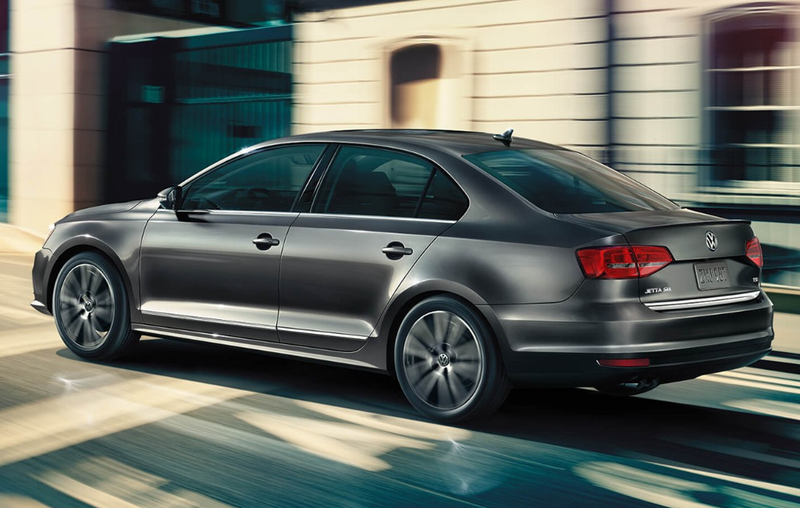 The Jetta delivers with its high performance, eye-catching good looks and advanced technology. The Jetta features a 4-corner independent suspension makes your drive smoother and allows you to stay in control of the road. Its three different engine choices allows for three different levels of performance- all of which are fun and efficient. If you are looking for easy maintenance, opt ofr the V-Tex leatherette seating surfaces. The V-Tex leatherette looks like leather, but the stylish surface is comfortable and easy to maintain. Make time in the car more entertaining with a 3-month trial to SiriusXM® Satellite Radio, which includes over 150 channels of commercial-free music, live pro sports, exclusive talk, and current news. 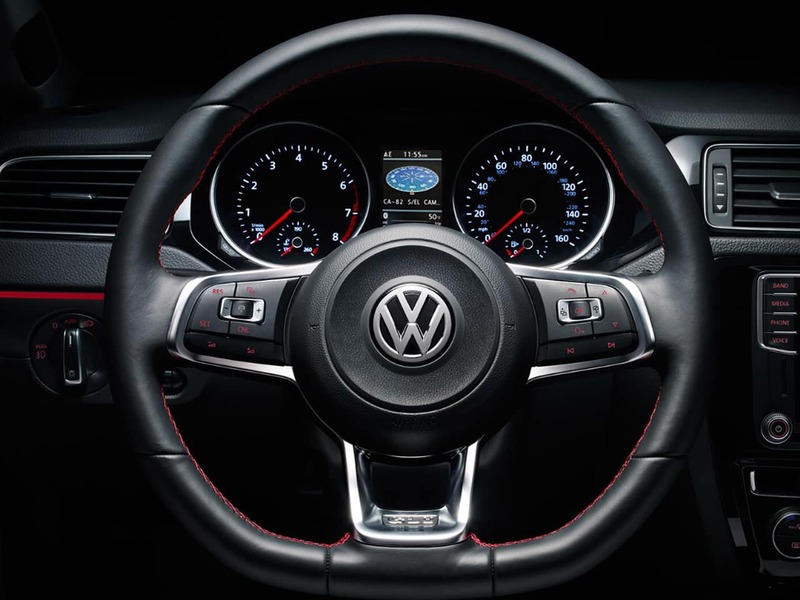 The technology makes the Jetta fun to drive and also give more peace of mind. The App-Connect is easy to use and allows your smartphone apps appear on the touchscreen display of your vehicle. Can’t remember where you parked your car? 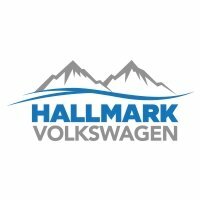 The available VW Car-Net® Security & Service feature and trial subscription can be there for you to find your car, or call for help. The available Blind Spot Monitor help sense what you cannot see. The monitor will alert you if you try to change lanes with another car in your blind spot. Wolfsburg Edition: Sport bumpers, 16-inch Linas alloy wheels, halogen front fog lights, v-tex leatherette seating surfaces. SE: Power tilting and sliding sunroof, VW Car-Net App-Connect, Keyless access with push-button start. SE Sport: Turbo 1.8-liter I4, black headliner, gloss black interior trim, 17-inch black alloy wheels, black-painted rear spoiler. SEL: Front Assist, Discover Media touchscreen navigation, dual-zone climate control. Make any road trip more comfortable with dual-zone climate control. You and your front passenger are able to set your own temperatures and the system will keep it automatically. Also, the heated front seats allow for you to find your own comfort zone on those cold nights or chilly mornings. The halogen headlights light up the drive ahead without sacrificing style. The LED Daytime Running lights ensure the car’s visibility to other drivers on the road. The option of 17″alloy wheels allow you to roll in style.